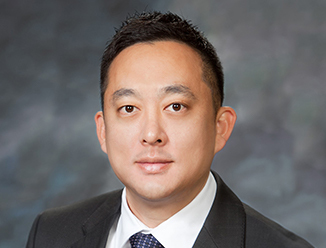 Johnny Choi is part of CBRE’s West Los Angeles Retail Advisory Group. Mr. Choi specializes in investment sales and leasing of retail shopping centers, mixed-use properties and land developments in urban areas with high barriers to entry, predominantly within the submarkets of Koreatown, Hollywood and Downtown Los Angeles. As an active member of CBRE’s Korea Desk, Mr. Choi is a go-to expert for Asia-based companies looking to expand their operations in the United States. For instance, he assisted Paris Baguette (SPC Group) in securing their 115,000 square foot West Coast headquarters, CJ Corporation in expanding their Bibigo restaurants and Mirae Asset Group in purchasing an Amazon.com Fulfillment Center in Macon, VA.
Mr. Choi demonstrates sound insight when it comes to such cross-cultural transactions, acting as a market liaison and trusted advisor during crucial times of transition. In 2015, Mr. Choi was named one of CBRE’s top 20 Retail Producers for the Western Region and one of the top 12 Producers for CBRE’s West LA Office.